When we say skin care regimen, it starts with cleansing in the morning and ends till the night cream. Some of you may skip this last step of night creams, mostly who are quite young, but is that really important or necessary to use the night creams or if it is, then how to choose the night cream for yourself. Let’s take up the first question. 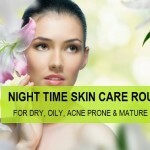 Why use the night creams? Basically, while you are asleep your skin tends to replenish and rejuvenate itself, it heals and repairs due to which it becomes very important to give something to your skin in the form of a night cream so that the process becomes more efficient and faster. Doesn’t matter if you’re using your night cream just for the hydration or to fetch the anti aging benefits for the mature skin. Including a night cream in the skin care routine is always beneficial. So, now that you know that using night cream should be a significant step in your skincare regimen, you might be wondering how to choose a night cream for yourself. If you are still in your early twenties then you should go for a night cream mainly for the hydration as these creams are rich in emollients that gets absorbed faster and keeps the skin moisturized.. For oily skin choose the night creams that have light texture and easily absorb-able. 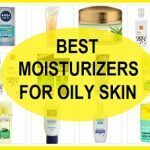 Such creams that are more like moisturizers are good for oily/combination skin whereas for dry skin you can choose creams that can easily hydrate the skin so that there isn’t any dryness. If you have crossed mid twenties then your main preference should be toward using a night cream with some anti aging benefits, creams that contains Alpha Hydroxyl Acids, glycolic acid and retinols are best suited for that. These creams provides the skin extra nourishment and delays skin aging by enhancing the collagen production rate, makes skin firmer and also reducing the appearance of fine lines. Some of you might also be wondering why you need to use night cream when the day creams can be used or what exactly is the difference between the day and night creams. 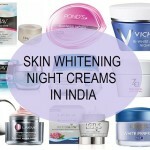 Well, day creams mostly have SPF in them and are lighter in texture as compared with their corresponding night version. Whereas night creams are more nutrient rich and heavier so that the skin stays hydrated while you sleep and the nutrients along with the other ingredients can work their way to rejuvenate the skin. 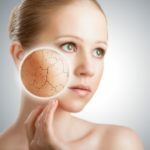 But when it comes to anti aging day creams then those creams due to the active anti aging ingredients like retinol may not be the best option to use during the day time as they tend to react when exposed to UV rays, therefore, it is always better to use the anti aging creams during the night. We’re sure these benefits will make you use them regularly from now onwards!! They are worth investing your time and money. I think I started using night creams when I was around 25 or so. I wish I had started earlier. I’m not happy with my skin.